The Bolder Boulder Colorado marathon is one of the largest marathons in the United States. People from all over the country come to this marathon. As an ice cream company, we like to be involved in community events in states that we sell our ice cream bars. Runners love eating our healthy ice cream bars after a long, difficult run. They are made with real ingredients and make for one tasty treat to reinvigorate yourself after a long run. Typically, at marathons, we like to provide our Originals. They are the best ice cream bars you can find. Our originals include chocolate, orange, and banana. 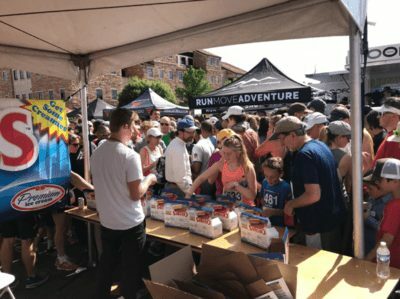 If you are ever at the Bolder Boulder Colorado Marathon please come by our tent and grab yourself and your family a free Creamie-they are delicious. 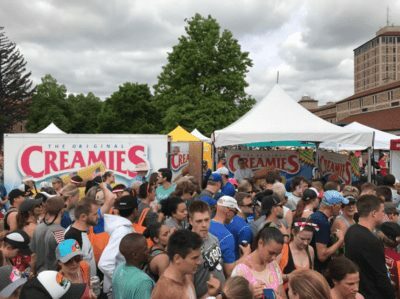 To request Creamies at an event near you, please contact us through our contact page and we will get back to you ASAP.